The Madux James Square is approximately 12″ (if you use a 5.00 mm hook); you can also get 11″ squares (using a 4.5 mm hook). Like all squares designed by Pam Knighton-Haener, they are beautiful and unique with and eye-catching and intriguing structure. 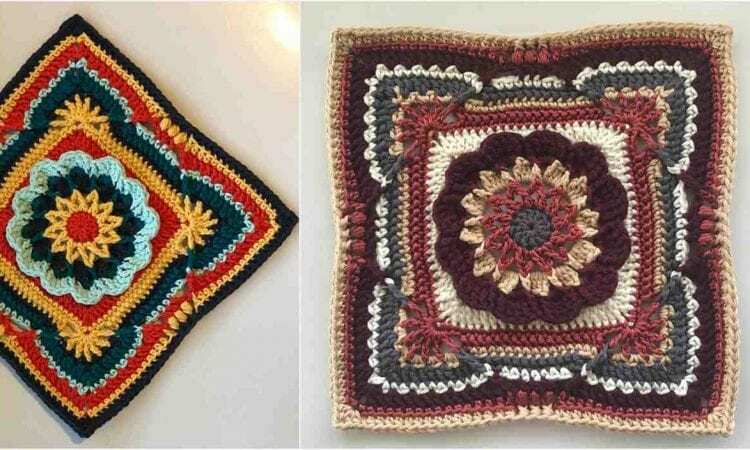 Using this block, you can create a wonderful blanket. A big surface composed of Madux James Squares will nicely underline their 3D geometric effect. A link to a free pattern is at the end of the post.